RABBI WAYNE DOSICK, Ph.D., D.D., is an educator, writer, spiritual guide and healer, who teaches and counsels about faith and spirit, ethical values, life transformations, and evolving human consciousness. He is the founder and spiritual leader of The Elijah Minyan; an adjunct professor at the University of San Diego; and the award-winning author of eight books, including the highly acclaimed and much beloved Golden Rules: The Ten Ethical Values Parents Need To Teach Their Children. Articles about Dr. Dosick and his books have appeared in more than 85 newspapers and periodicals; he has been interviewed on more than 145 radio and television shows; and he has spoken to more than 200 audiences throughout the country. Dr. Dosick has taught youngsters from pre-school through college and graduate school; counseled at summer camps; directed day and supplementary schools, and youth programs; and conducted seminars and retreats for children of all ages and their parents. He now directs The Soul Center for Spiritual Healing, home of The 17; and The Point of Essence Process  healing for Adult Indigos; and GraceLight: Weaving Harmony for the Littlest Indigos. These spiritual healings are the project of his heart and the mission of his soul. ELLEN KAUFMAN DOSICK, MSW, LCSW, with degrees from the University of Chicago, has been a practicing psychotherapist for more than 25 years. She has served on the faculty of the University of Southern California School of Social Work, and directed social service programs and offices. She has taught children and their parents at every level; directed school, after-school, and summer programs; and directed Childrens Community Theater. She practices Soul Memory Discovery, a healing therapy, which she finds the most effective tool for human development and change. She is a Master Teacher who trains and certifies Soul Memory Discovery facilitators from around the country. 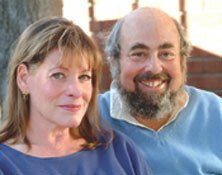 Rabbi Dosick and Ms. Kaufman Dosick live in La Costa, California, where their home is a center for prayer, learning, and healing; and a community gathering place for Light-workers and spiritual seekers.